The 1st Forum of the GMES and Africa (www.au.int/en/GMESAfrica) has kicked off in the Gabonese capital, Libreville. More than 400 delegates from Africa, Europe and other parts of the world have gathered to discuss new and innovative Earth Observation technologies supporting Africa’s socio-economic development. Organized jointly by the African Union Commission and the government of Gabon, the Forum is the first gathering of all stakeholders involved in the GMES and Africa programme. 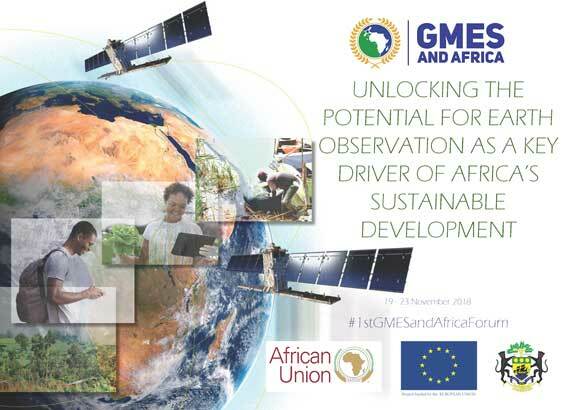 The programme was jointly launched in 2016 by the African Union and the European Union to strengthen Africa’s capacity for the optimal exploitation of Earth Observation systems, data and technologies. other applications that improve environmental management, agricultural productivity, climate change mitigation, food security, health, and disaster risk reduction, among many of its developmental priorities. Limited investments and a fragmented approach has constrained the continent’s ability to mobilize funding, develop local capacities, and provide the necessary infrastructure for a robust Earth Observation industry. innovation and harness its existing human capital for better health, education and infrastructure systems.